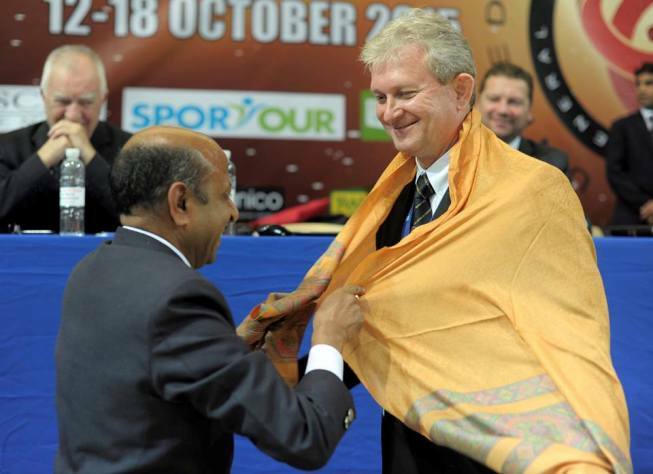 Professor Liviu Crisan, President of the World Union of Karate Federations reacted to the decision of the IOC Executive Board. The Executive Board of the International Olympic Committee (IOC) has supported the package of the 2020 Tokyo organisers, and sports such as sports climbing, skateboarding,surfing, karate and baseball/softball now only require the approval of individual Olympic members in August. Yet according to news from skateboarding sources, the three world governing bodies are questioning whether they will be involved in the 2020 Games. Professor Liviu Crisan, President of the World Union of Karate Federations reacted to the decision of the IOC Executive Board, insisting that the World Karate Federation’s (WKF) representation of karate must be debated in European Union Court, as it is not the only world sport karate organisation. Simultaneously, President of United World Karate (UWK), Richard Jorgensen, published a statement saying that UWK had appealed to a Swiss court on Monday 30th May; as UWK president he feels he is acting for unification and to defend karate practitioners from IOC discrimination and misrepresentation. The UWK considers that unification shall be achieved before any decision on the inclusion of the sport in the Programme of the Olympic Games. The final decision in this regard will be taken in August 2016 during the 129th Session of the IOC in Rio de Janeiro, Brazil.